When Amor Ftouhi arrives in court this week the only question is how many years in prison he'll face for stabbing a Flint airport police officer in 2017. Last week, federal prosecutors and defense attorneys submitted their recommendations to U.S. District Judge Matthew F. Leitman. The two sides agree that Amor Ftouhi committed the crime. But they ask the judge to consider two different sentences. On June 21st, 2017, Ftouhi walked up to Lt. Jeff Neville in the Flint Bishop International airport terminal. He slashed Neville with a knife while shouting “Allahu Akbar” which translates as “God is great.” The wound ran from behind Neville’s right ear down across his neck. Neville survived. Ftouhi was wrestled to the ground and taken into custody. Last November, a jury convicted Ftouhi on all counts, including committing an act of terrorism transcending national boundaries. In the nearly two years since the attack, the life of the 51 year old man from Montreal has come into focus. Ftouhi and his family immigrated to Canada from his native in Tunisia. As each layer of Mr. Ftouhi’s life is peeled back, his story emerges as one that is common among men trying desperately to provide a good life for their family. He came from a dysfunctional family, with an alcoholic father, and worked hard to achieve a different life. He prioritized his wife and children above all else, and worked hard as the sole provider in the family. The dream he and his wife shared, of immigrating to Canada for a better life, had not materialized. In the years leading up to the offense, Mr. Ftouhi grew deeper and deeper in debt, and he could see no way out of it. He felt that he had nothing left to give to his family. He felt hopeless, and believed he had discovered a solution to his problems through martyrdom. Ftouhi’s defenders are asking the judge to sentence him to 25 years in prison, suggesting he should spend that time in solitary confinement. He would not be released from prison until he was in his seventies. He would not only be incapacitated physically, but he would also be incapacitated mentally, by continuing to be isolated from the public, his family, and likely even other inmates for most of his time in custody. By contrast, federal prosecutors want the judge to impose the maximum sentence of life in prison. The defense has characterized Ftouhi’s attack as a one-time event; a product of his depression and hopelessness. But that misses the mark. Ftouhi may have been unsatisfied with his life but he tried to kill Jeff Neville and intended to kill countless more because he dreamed of being a mujahedeen—a warrior. He yearned to be revered and killing was the way to achieve that. Judge Leitman is scheduled to sentence Amor Ftouhi Thursday morning in Flint. 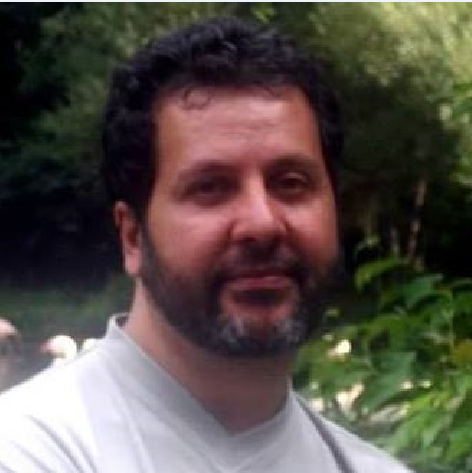 A federal jury Tuesday found a Canadian man guilty of stabbing an airport police officer in Flint, Michigan last year. Prosecutors say he was on a “mission to murder” to support jihad against the United States. It took the jury of five woman and seven men an hour to find Amor Ftouhi guilty on all three counts, including committing an act of terrorism transcending national boundaries. Prosecutor says Flint airport stabbing suspect on "a mission to murder"
The trial started Wednesday, with the seating of the jury and the first witnesses taking the stand.